« In the darkest of times, 1944, the 31-year old Raoul Wallenberg was asked to take on a rescue mission in Budapest to save the last remnants of European Jewry. He accepted without hesitation and was attached to the Swedish legation there. He developed protective passports, established so called Swedish houses with access to food and medicine and carried out rescue actions in Budapest and its surroundings. Risking his own life he saved the lives of tens of thousands Jews, at the same time restoring their hope and dignity. When the Soviets troops approached Budapest, Raoul Wallenberg left to negotiate his postwar rescue and reconstruction plans with them. Instead he was arrested, in January 1945, seventy years ago. Since then the family has lived in hope and despair, hope that their efforts would bear fruit and Raoul would return, despair as their hopes were dashed again and again. In his absence Raoul was and will forever be present in our minds. At the same time we send our warm appreciation to all those who assisted and will continue to assist in the family’s quest to know his fate and keep his memory alive. We have now decided to lay Raoul to rest and are planning a memorial site. The family had a private gathering at Kappsta outside Stockholm, where Raoul was born in 1912, remembering and mourning. Remembering the creative, engaged, action-oriented young man who rose to the highest levels of humanity to save those in need, mourning that his life in freedom was cut too short, that he himself never was saved and that his fate remains unknown. The declaration of death is a way to deal with the trauma we lived through, to bring one phase to closure and move on. But it will not affect his presence in our lives nor the inspiration he is to us and to the world. Raoul shows that it is possible to rise above our limitations and fears and act with courage for what is right. It is a great comfort to know that he lives on in the many he saved, in their children and grand-children and in those he continues to inspire. This underlines the need and importance to find the truth about his fate. His mother said she prevailed in her struggle not just for her son but for all disappeared persons. It should just not be possible to disappear, nor should it be accepted. January 17 of this year marked the 70th anniversary of the arrest and disappearance of Swedish diplomat Raoul Wallenberg in Budapest, Hungary. The full circumstances of his fate have never been determined. Even though Wallenberg has now been formally declared dead in his native country of Sweden, the search for answers continues. In September, a group of nearly 80 international Wallenberg experts, with the support of leading international human rights organizations and research institutions specializing in the study of the Holocaust and the Cold War – such as the Robert F. Kennedy Center for Justice and Human Rights (Florence, Italy), the Holocaust Memorial Center (Budapest) and the Woodrow Wilson Center’s Cold War History Project (Washington, DC) – launched a new international research project, the Raoul Wallenberg Research Initiative (RWI-70). The group includes relatives of Holocaust victims rescued by Wallenberg as well as individuals incarcerated together with him in Soviet prisons. Former Swedish and Russian officials who over the years were involved in the investigation of the Wallenberg case have also joined in, as have numerous private individuals, among them the British author John le Carré. The primary goal of RWI-70 is to pool international expertise to create an effective, coordinated work plan, a blueprint for solving the Wallenberg case. As part of the initiative, researchers will conduct a Raoul Wallenberg International Roundtable, scheduled for March 2016. The symposium will bring together international scholars to discuss how to obtain access to essential documentation in Russian and other international archives. The purpose of this initiative is to pool researchers’ knowledge and expertise in order to devise new ways of advancing the search for answers and, in particular, to facilitate access to all pertinent documentation in Russian and other international archives. Please help us reach our goal, so that we finally discover the full truth about the fate of one of the greatest heroes of the twentieth century. We urgently require funds to help cover the costs of travel and accommodations. As part of the new Raoul Wallenberg Research Initiative (RWI) we also intend to conduct a Raoul Wallenberg International Roundtable. This symposium is scheduled to be held in the late autumn of 2015 or early 2016, in either Budapest or Stockholm. It will bring together international researchers, historians and members of Raoul Wallenberg’s family to discuss how to obtain access to key documentation in Russian and other international archives. At the planned Symposium we intend to prepare a Master List of questions pending in the Raoul Wallenberg case, through intensive discussion with international experts. • take this Master List to Moscow, with a small delegation of researchers, who will meet with Russian officials and archivists to address the problem of direct access to key documentation. • prepare separate Master Lists of questions for other international archives We wish to ensure that even in this increasingly difficult political climate, the door on a constructive dialogue with Russian archivists and officials does not close entirely. We have had an enthusiastic response from researchers – over seventy individuals and organizations have joined so far, so hopefully this initiative will at the very least make a strong symbolic gesture. Current supporters of our efforts include the European Commission, B’nai B’rith, the Norwegian Helsinki Committee, the Antal Ullein-Reviczky Foundation, the Robert F. Kennedy Center for Justice and Human Rights, Professor Sabolcs Szita and the Holocaust Memorial Center, Budapest, Sweden’s Living History Forum and the Cold War International History Project of the Woodrow Wilson Center. We have also gained the support of individual sponsors such as Jan and Peter Anger (the sons of Per Anger), the former Chairman of the Swedish Working Group in the Wallenberg case, Ambassador Hans Magnusson, the authors John le Carré, Alex Kershaw, Canada’s former Minister of Justice, Irwin Cotler and Paul Martin, the former Prime Minister of Canada. We are especially grateful that many Holocaust survivors and individuals saved by Raoul Wallenberg and the various rescue initiatives in 1944 have also joined in. So have the families of some of Raoul Wallenberg’s fellow prisoners in Russia. Today we formally start the new Raoul Wallenberg Research Initiative (RWI-70). 70 years after the end of WWII and 70 years after Raoul Wallenberg’s disappearance in the Soviet Union, the full circumstances of his fate remain unknown. To mark this anniversary, an international group of historians and Wallenberg experts are set to begin a new initiative intended to bring about a resolution of the case. Our central aim is to create a Blueprint for solving the Raoul Wallenberg case. to take this Master List to Moscow, with a small delegation of researchers, who will meet with Russian officials and archivists to address the problem of direct access to key documentation. We wish to ensure that even in this increasingly difficult political climate, the door on a constructive dialogue with Russian archivists and officials does not close entirely. The RWI, therefore, seeks the close cooperation of both the Russian and Swedish governments, as well as other international organization and representatives. We also warmly welcome all members of the public who wish to join the effort. Your support, in whatever way you might be willing to extend it, is greatly appreciated. An inquiry steered from the top? In 1944, the Swedish diplomat Raoul Wallenberg went to Hungary to protect the Jewish population of Budapest from deportation and death at the hands of Nazi death squads. In six short months, he managed to save thousands of lives and aided countless more by implementing an extensive humanitarian aid effort. In January 1945, he was arrested by Soviet troops and disappeared in the Soviet Union. In 1957, Soviet authorities announced that he had died in a Moscow prison in July 1947. They never presented any conclusive evidence for this claim and the full circumstances of his fate remain unknown. From December 1941 – November 1981 eighteen Swedish ships vanished, all of them traveling through the Baltic Sea. Some fell victim to bad weather conditions or un-cleared mines. However, several of the ships were known to have engaged in smuggling refugees to and from Poland. They also played a role in infiltrating Swedish agents into iron curtain countries and other intelligence operations. These activities were carried out with the active assistance of Swedish as well as Allied intelligence personnel. The precise circumstances of the ships’ disappearance and the fate of their crews remain a mystery. The vessels carried more than one hundred people. In 1941, Raoul Wallenberg maintained a temporary office address at Blasieholmsgatan 3, in the heart of the Wallenberg family business sphere. The new information suggests that his contact with his famous relatives was closer than previously thought. It also raises the question if after Wallenberg’s disappearance in the Soviet Union in 1945, these connections were intentionally de-emphasized. At the same time, the discovery puts the statements of a number of witnesses in the Wallenberg case in a new perspective. The surroundings were both fascinating and slightly intimidating. The hushed atmosphere in the ante-room, Wallenberg’s sudden arrival, with a small entourage, the exchange of pleasantries which quickly moved on to the business at hand. There the discussion promptly stalled, because Mr. Wallenberg would or could not provide what Guy von Dardel had come for: The documentation about Raoul Wallenberg’s contacts with Marcus and Jacob Wallenberg, Peter Wallenberg’s father and uncle, respectively. Surprisingly few of Raoul Wallenberg’s personal papers have survived, which has made it difficult to reconstruct his activities before July 1944, when he received a temporary diplomatic appointment to aid Hungary’s Jewish population. Our inquiry focused on the autumn of 1939, when Raoul repeatedly asked Jacob (his first cousin, once removed) for permanent employment in the Wallenberg sphere. Jacob had alluded to the possibility that the coming war would create certain problems and that Raoul could possibly assist him in addressing these challenges. It is unclear what precise problems Jacob Wallenberg had in mind and most experts believed that nothing further came of the idea. After September 1939, however, Raoul’s requests for assistance abruptly stop. What happened? Did he finally give up trying to attract the attention of his powerful relatives? At the age of twenty-seven, Wallenberg had come to a crossroad in his life. On the surface, he appeared aimless, without any promising professional prospects. In 1940, he abandoned his office at Kungsgatan , where he had previously maintained a small private firm. That year he devoted a lot of time to his military service, as an instructor in the newly established Swedish Home Guard. So, how was he planning to earn a living? Recently new clues have emerged which may explain how he spent his time until July 1941, when he joined Mellaneuropeiska, an export-import business that specialized in trade with Hungary. Due to the war, most of this trade was handled in the form of barter or compensation transactions. The building was a stone’s throw from Stockholms Enskilda Bank (SEB) where both Marcus and Jacob Wallenberg maintained their offices. Marcus Wallenberg’s private residence was located just a few doors down, at Blasieholmstorg 11. 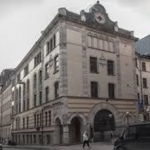 Some years ago, a woman by the name of Ms Gertrud Larsson (her maiden name) testified that during the 1940s, she worked in adjoining offices with Raoul Wallenberg on Blasieholmen. 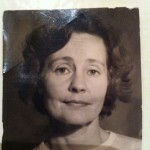 She said she had been employed first as a secretary for the SEB and she later worked for two companies, Baltiska Oljeaktiebolag and AB Oljecentralen. Both firms were located at Blasieholmsgatan 3. They were part of the extensive Wallenberg family investments in the Estonian shale oil industry which produced fuel and important by-products such as cement for construction projects. Prominent Wallenberg business associates like Axel Ax:son Johnson, August Nachmanson and Franz Georg Liljenroth served as members of the board. 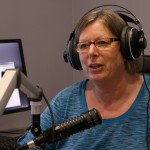 Larsson’s statement was not taken seriously, because by the time she shared her experiences in the 1990s, she was already suffering from the first signs of dementia. Since then, her employment history has been partially confirmed. 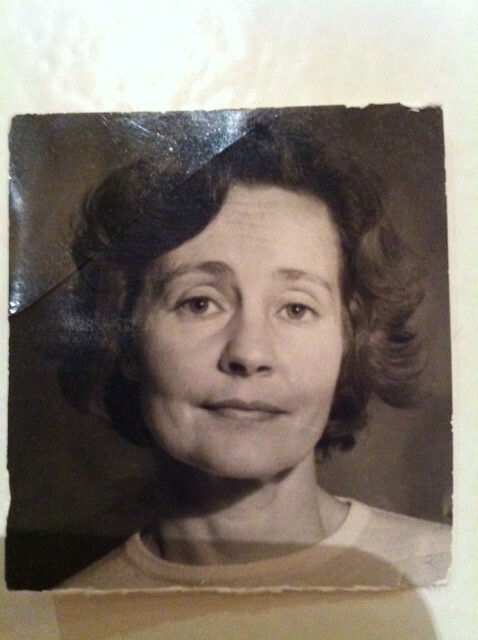 Still unconfirmed remains Ms Larsson’s claim that on at least one occasion she received a special assignment – directly from Jacob Wallenberg – to travel as a courier to Estonia. She also said that she met Raoul Wallenberg in connection with this special task. Several other witnesses who made similar claims were also ignored. Fig. 3 Kálmán Lauer; Source: http://nava.hu/id/1477508/; from the film « Raoul Wallenberg: Saviour and Victim », Klaus Dexel, Germany, 2005. In his personal notes which are preserved at the Swedish National Archives, Raoul Wallenberg’s friend and business partner in Mellaneuropeiska, Kálmán Lauer, recalled that Jacob Wallenberg had been Raoul’s « idol » and that Raoul served as « his private secretary during the time he worked at Meropa (Mellaneuropeiska) « . Lauer’s claim was largely dismissed as an exaggeration of his friend’s relationship with his famous relative. In light of the new findings, his statement, too, deserves further examination. Finally, a former employee of SUKAB (Sveriges Utrikeshandels Kompensations Aktiebolag) reported that he remembered Raoul Wallenberg well from the time Raoul spent working with his company. Founded in July 1940, SUKAB was a huge Swedish business conglomerate which also included most of the major Wallenberg industrial enterprises like Svenska Kullagerfabriken (SKF, a manufacturer of ball bearings ), Svenska Tändsticksaktiebolaget (STAB, a producer of matches and lighters) and L.M. Ericsson (a provider of communications technology). During World War II, SUKAB coordinated virtually all Swedish trade with the occupied territories, including France (which Raoul Wallenberg visited in 1942) and the Baltic countries. The compensation trade conducted by Mellaneuropeiska would have fallen under SUKAB’s broader purview. The company was initially located at Norrlangdsgatan, but soon after it moved to Blasieholmstorg 11. Raoul Wallenberg’s uncle, Carl-Axel Söderlund (the husband of Raoul’s aunt Nita Söderlund) was one of its original board members. Back in 1997, sitting in the well appointed Wallenberg family business office, Guy von Dardel knew only one thing: He needed to learn more about his brother’s personal and professional history. 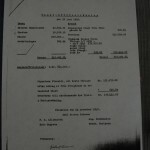 He requested all documentation concerning Raoul’s association with the Wallenberg family and Mellaneuropeiska. He also asked for direct access to specific Wallenberg family collections. The few papers the Wallenberg archives did make available chronicle the contacts between Raoul Wallenberg and his relatives between 1927 and 1944. They show no written communications between Raoul and the Wallenberg brothers after 1939, for three whole years (until 1942), and almost none after that . For 1939 and 1940, only one meeting with Raoul Wallenberg was recorded in the visitors’ book at the SEB – in early January, to see Jacob. This was most likely a New Year’s visit which probably also offered a chance to discuss Raoul’s professional future. The next official meeting did not occur until May 1941, almost certainly in connection with the founding of Mellaneuropeiska. While the address was clearly temporary, Raoul’s presence there during the years 1940-41 suggests that his contacts to the Wallenberg sphere was perhaps closer than previously thought. According to the witnesses, he was learning the intricacies of wartime trade. This meant first and foremost trade with the occupied areas. Did he also concern himself with specific problems arising from the war, such as Sweden’s business interests in Estonia, for example, as has been alleged? From June 1940 – June 1941, Estonia found itself under Soviet occupation, which created numerous challenges for Swedish and Estonian entrepreneurs and the need for protection of their assets; as did the subsequent occupation by the German Nazi forces. These very same problems reared their head later on in Hungary. Only his official Kabinettspass from 1941/42 – a special travel document issued by the Swedish government – and both his diplomatic and private Swedish passports, issued in June 1944, are currently available to researchers. As it turns out, some of these gaps in the record may not be accidental. A source who wished to remain anonymous but who knew Raoul Wallenberg well during the 1940s, indicated in a statement that Wallenberg did « confidential work for the Swedish state » under the guise of his business activities. During the war, high level business men like Jacob and Marcus Wallenberg who maintained a broad network of influential professional and political contacts, ranked among the most important sources for domestic and foreign intelligence services. The Wallenberg family has traditionally maintained very close ties to the Swedish intelligence community. Colonel Carl Björnstierna, head of the Swedish Foreign Intelligence at the Swedish General Staff until 1942, was married to Jacob and Marcus’ sister Sonja. He also happened to be a good friend of Mellaneuropeiska’s owner, Carl Matthiessen. Both men in turn were on very good terms with the British Military Attaché Henry Denham. Per Jacobsson, an executive in the Bank of International Settlements (BIS) who would later head the International Monetary Fund (IMF), worked as an agent for Swedish Intelligence throughout the war. 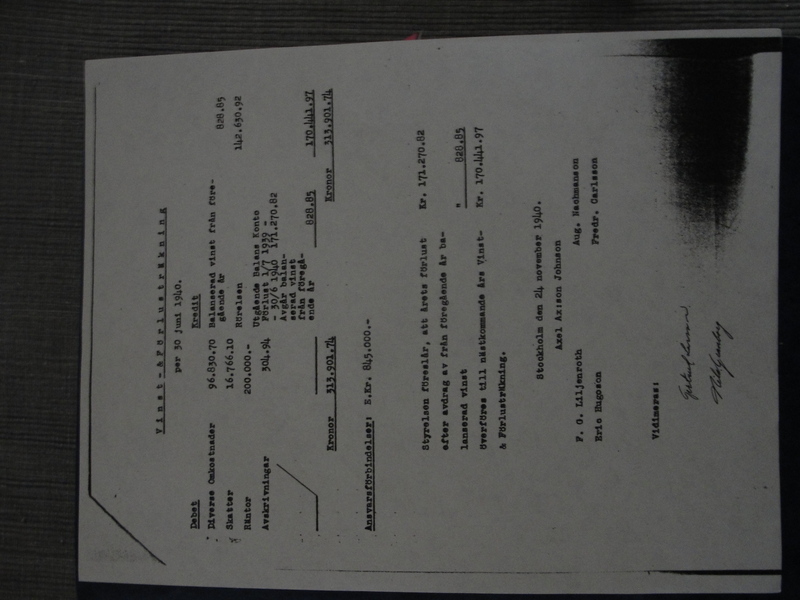 It was Jacobsson who already in September 1940 transmitted a request to Jacob Wallenberg from prominent Jewish entrepreneurs in Hungary to temporarily « Aryanize » their businesses – to formally replace Jewish board members and directors with Aryan ones, in order to disguise the true ownership o f their companies. It is quite likely that requests such as these played at least a partial role in the founding of Mellaneuropeiska. Similar types of companies specializing in wartime compensation trade were formed for the Baltic countries, including Transkandia which dealt mostly with Latvia and which was headed by the lawyer and businessman Wilhelm Moberg, a friend of Marcus Wallenberg. It too was located on Blasieholmen, at Blasiehomstorg 9. Aside from the immediate wish to assist friends and business associates, these activities mainly served to protect long-term Wallenberg business investments and to secure Sweden’s economic interests in the post-war economy. 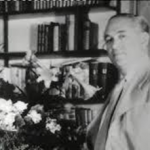 Helmuth Ternberg, deputy head of the Swedish C-byrån (C- Bureau, foreign intelligence agency under the Swedish Armed Forces), secretly traveled to Hungary in 1943 and 1944, to develop contacts with the Hungarian resistance and to prepare for the coming Soviet occupation. Ternberg was well acquainted with the Wallenbergs and worked for them in various capacities after the war. His brother Egon was one of Raoul Wallenberg’s godfathers. Carl Bonde – the stepson of another Wallenberg sister, Ebba Bonde – served as the head of Swedish counterintelligence. One of his officers, Thorsten Akrell, secretly delivered two radio sets to the Hungarian resistance in Budapest in 1944, where he also met with Raoul Wallenberg. It was with the help of Akrell’s old friend, the director of AB Industridiesel, Carl Hardeberg, as well as Helmuth Ternberg, that Jacob Wallenberg tried to contact the Soviet leadership in 1954, to obtain information about Raoul’s fate. It needs to be determined once and for all how extensive Raoul Wallenberg’s contacts were with the Wallenberg sphere and what exact training he received. Was it simply a way for the Wallenberg family to keep him at arm’s length, while also making use of his abilities? And were these connections intentionally de-emphasized after Raoul’s arrest, in order to protect him, by keeping the contacts to his relatives out of any discussions? Or did the Wallenberg brothers worry that his knowledge of the inner workings of the Wallenberg sphere could be harmful to the family’s reputation? Marcus and Jacob’s remarkable passivity after Raoul’s disappearance in the Soviet Union in 1945 continues to raise important questions. Seventy years later, it is time for both Sweden and Russia to finally reveal everything they know about Raoul Wallenberg’s background and his fate. (2) In 1940, the building was formally owned by a Captain Carl Ljungberg (1873-1975). He served as the head of the SEB’s real estate office and its chief of personnel. In 1941, Blasieholmsgatan 3 was sold to the Hotell Esplanades Fastighetsaktiebolag. Ljungberg had begun his career in the Swedish Navy. From 1916-1919 he served as the chief of the National Budget Commission’s Transport Department. As such, he had concerned himself with questions of national supply and rationing of goods, precisely the type of problems Sweden faced in 1941. How concerned Raoul Wallenberg was about these issues shows a letter he wrote regarding Sweden’s food supply situation in February 1944; see Raoul Wallenberg: Letters and Dispatches 1924-1944, New York: Arcade Publishing, 1995. 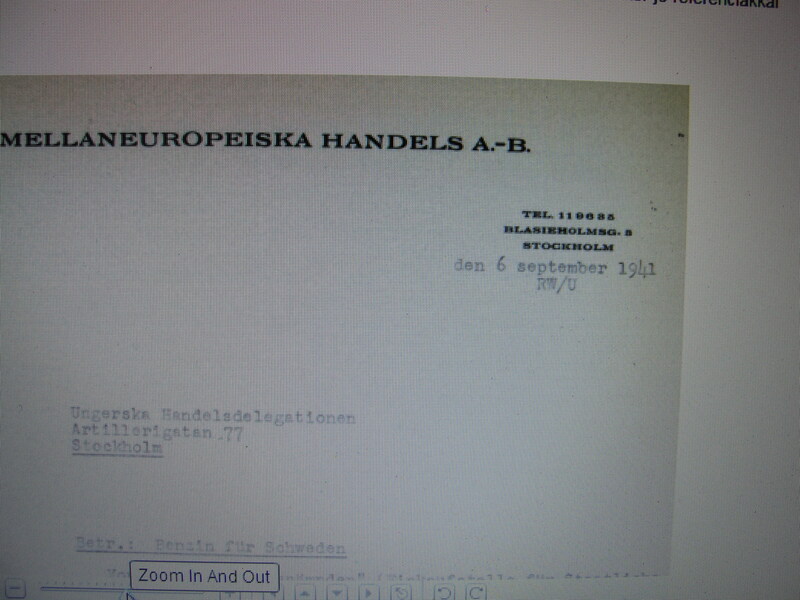 (3) Mellaneuropeiska seems to have moved to Strandvägen 7A by about November 1941. It is listed at this address in the Swedish Röda Boken for 1942. (The Red Book, an official Swedish register for street addresses and their occupants) . Most entries for this annual publication are compiled by the month of November of the previous year (in this case November 1941). The company used the old letter heads – with Blasieholmsgatan 3 crossed out and Strandvägen 7A penciled in – until at least January 1942. 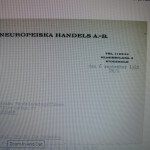 According to Mellaneuropeiska‘s official registration documents filed in July 1941, the company’s original postal address was Frihamn (the Stockholm Free Harbor). This was the address of Carl Matthiessen’s Banankompaniet, under whose umbrella Mellaneuropeiska functioned. 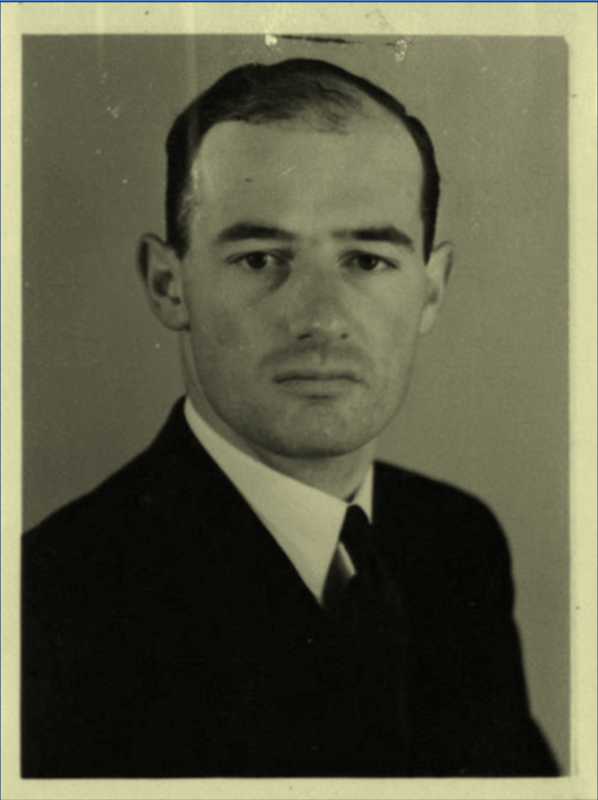 (4) It is known that Raoul Wallenberg maintained personal address books and appointment calendars, in 1944 and in earlier years. Source: Kálmán Lauer’s private papers, The Swedish National Archives. When Hungary was taken in 1944, the Nazis, sensing the final decision of WWII, tried to rush their extinction programme. The genocide did not even respect extraordinary intellectual or athletic achievments. Under such horrific circumstances only the personal courage of individuals like Schindler or Wallenberg could save the lives of the Doomed. Wallenberg is known to have saved the lives of several hundred Jews by issuing protective passports. Most of the persons who owed their lives to Wallenberg are unknown. Here is an example of a very well known athlete whose live was saved by Wallenberg. What I find particularly intriguing about this document is the encounter of two « heroes »: An « athletic hero » who owed his life to a « hero of righteousness ». I think this is an astonishing piece of history which deserves some attention. Exactly 70 years ago in 1945, Swedish businessman Raoul Wallenberg was abducted by Russian forces as they occupied Hungary. Wallenberg, who was not Jewish himself, saved tens of thousands of Jews in Budapest during the Holocaust. He was never heard from again following the abduction. 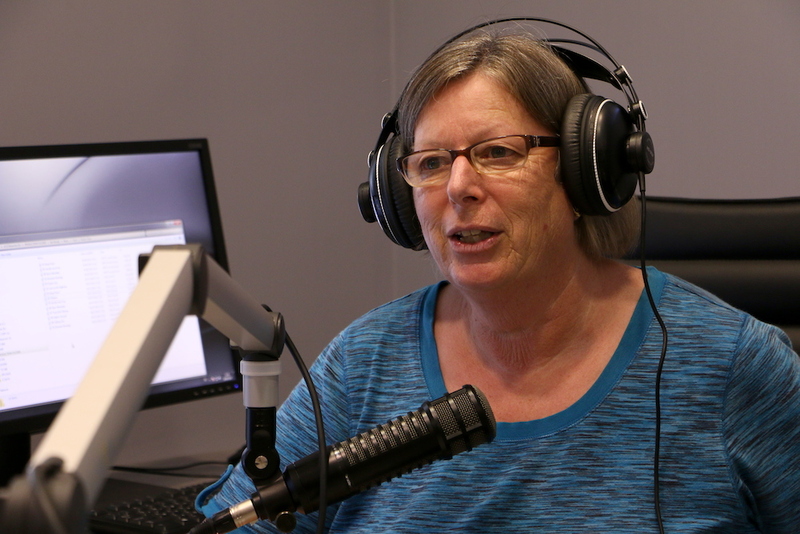 Wallenberg’s niece, Louise von Dardel, speaks with VOI’s Judy Lash Balint about her family’s struggle to determine her uncle’s fate. 17/04/15 : An inquiry steered from the top?